Maddie’s received a promotion! She’s been moved from the very intense side of the NICU to the adjacent “Step Down Unit” a room with only 4 babies that’s referred to by the nurses as the “Feeders & Growers room”. Before Maddie’s temperature was maintained environmentally though her incubator. Now she is maintaining it herself. Her feedings rate has been increased from every 6 hours to every three hours and the amount of milk has been upped 50%. Last night the milk was delivered directly to her mouth where she smacked her lips looking for more. Her weight gain has slowed, she’s now at 4lbs, 10 oz, but that is due to her own increased energy needs for digestion. 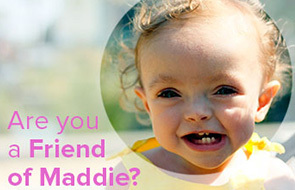 Maddie’s supplemental oxygen is continuing to be reduced with no ill effects.With all that’s happened in the last 24 hours…Maddie had another good day & night.